Golfers, tired of sitting home in the late fall, winter and early spring dreaming about golf? 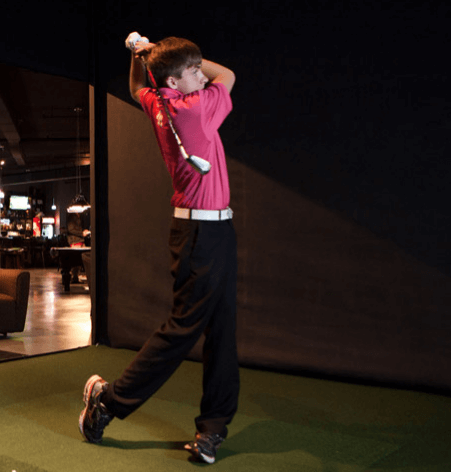 Want to tune up your game before a golf trip? New golfers, want to learn the game? Kennebec Valley Indoor Golf is happy to introduce the aboutGolf Indoor Golf Simulator, used on Golf Channel for instruction, to provide hours of golf fun Monday through Thursday 8:00am to 9:00pm, Friday 8:00am to 8:00pm and Saturday/Sunday 9:00am to 4:00pm. 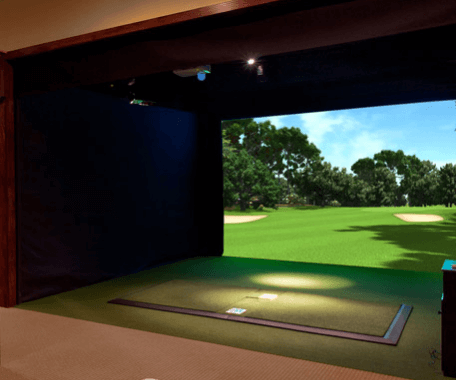 This state of the art simulator can provide feedback on your swing from the lesson format and allows play on some of the greatest golf courses of the world at a fraction of the price you would pay to play on site. Courses include Pebble Beach, Sawgrass, Harbor Town, Hazeltine, St. Andrews and many more. Lessons can be booked with local professionals of your choosing. Cost to use the aboutGolf simulator: Adults 18 or older-$30 per hour, $20 per half hour. 5 hour pass $140. 10 hour pass $270. Pass-holders will be eligible to rent club locker space $10 per month. 16 to 18 year old-$25 per hour, $15 per half hour. 5 hour pass $110. 10 hour pass $210. Also eligible for locker if pass holder, also $10 per month. Children under 16 must be accompanied by an adult. Under 16 years old-$20 per hour, $12 per half hour. 5 hour pass $70. 10 hour pass $135. FIRST TIME USERS CAN SCHEDULE AN ORIENTATION BETWEEN 10 AM AND 1 PM DAILY. Pass holders can book half hour slots as well as hour slots. Pass holders can also rent lockers for $10/month or $45 per season. Lessons will be available from Peter Hatfield and Jason Hurd, both PGA professionals at the Augusta Country Club and Don Roberts, professional at the Waterville Country Club. Contact info is available at the Indoor Golf desk. You will be responsible to book the simulator time and the time with either professional. The professional’s fee will be paid by you to the professional directly. KVIG will not be handling booking or payments for professional teaching. How do I book multiple hours? When you begin to book your Tee Time, the type of appointment you choose will contain the hours you want. Choose the beginning time you want, and the hours will fill in from there. If I want an extra half hour? The appointment type offers half hour choices. Just add one of those to the end of your time. How do I book the same time week after week? You will need to repeat the process for each week you want to book. The maximum lead time is 2 months, so 8 weekly bookings. How do I buy a multi-hour package? A Gift Certificate? From the website, you will see a button labelled Gift Certificates and Packages. Go there and many discounted offers are available. Purchase using your secure credit card. When you schedule a Tee Time, you will get a confirmation email. It will offer a “Cancel” option. Open that email, click on cancel. If you are pass holder, your pass will be re-credited and you are done. If you are NOT a pass holder, you MUST CALL 207-213-6286 to have your credit card refunded. Limitations on the refund will occur within 48 hours of the Tee Time. AboutGolf's Premium Package Golf Simulator. Used exclusively by the Golf Channel. Dozens of different golf courses to play. Golf Pros available for lessons! Or call 207-213-6286 to book your Tee Time. 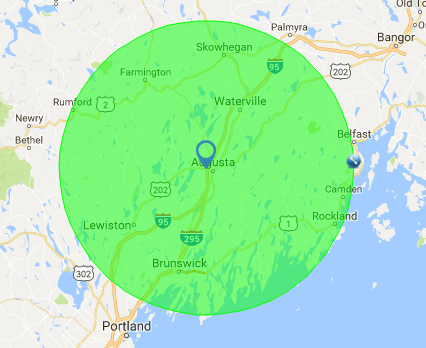 Serving the communities of Augusta, Brunswick, Camden, Lewiston, Rockland, Skowhegan and Waterville, Maine.